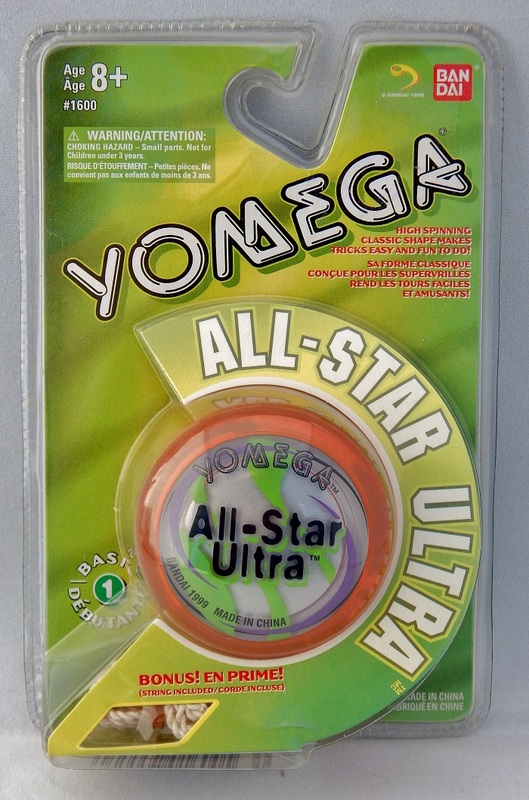 A Yomega yo-yo sold under the Bandai name. This model is a step up from the budget "All-Star" yo also made by Yomega. Comes with extra string. Billed as the "Killer Yomega Classic!" and intended for a beginning yo-yo player or "Trick" level." Used a steel axle. This style 2 version replaced the style 1 version that used a side cap image that was also used by Playmaxx on their yo-yos.